The discount supermarket chain plans to open seven new stores in Ireland in 2019. ALDI HAS ANNOUNCED it will recruit 500 new employees in Ireland this year. The discount supermarket chain has 137 stores nationwide and plans to open seven new stores this year. The available roles are at various levels including area manager, store manager, assistant store manager and store assistant. From February onwards, Aldi will pay all employees at least a living wage of €11.90 per hour. Giles Hurley, CEO of Aldi UK and Ireland, said the decision to use a living wage as a base pay for employees is due to their “immense contribution” and “hard work”. “We plan on hiring 500 new employees this year to join the Aldi team and contribute to our growth and success. “Our expanding store portfolio, market performance and new Project Fresh stores demand that we continue to future-proof our business with the best people in retail,” Hurley said. Aldi is investing €60 million in its Project Fresh expansion, which includes a redesign of some stores and aims to increase its selection of fresh fruit and vegetables. 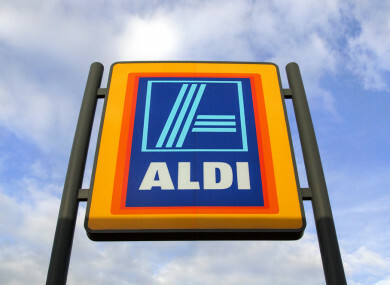 Aldi has a 10.8% share of Ireland’s grocery market, placing it fourth of the five major supermarket chains – behind Dunnes Stores, Tesco and Supervalu, but slightly ahead of Lidl. Aldi is Ireland’s fastest-growing supermarket. Email “Aldi set to hire 500 new employees this year”. Feedback on “Aldi set to hire 500 new employees this year”.